Facts matter and they ALL say that Woody Allen is innocent. They also say that Dylan Farrow wasn’t credible when she was a child. And that as an adult, she’s multiplying lies and false declarations. Facts also say that Mia Farrow is an abusive and manipulative woman. 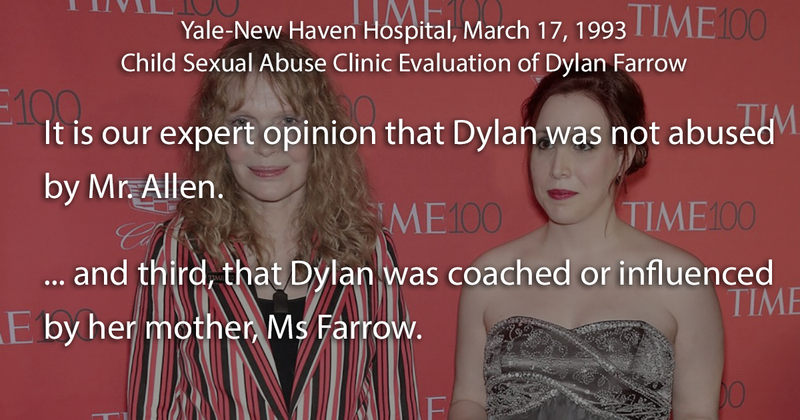 Both the Yale-New Haven Hospital (Connecticut) and the New York State child welfare (New York) didn’t find Dylan Farrow credible. As an adult, Dylan Farrow is voluntary multiplying lies and false declarations. She even goes so far as to quote the Supreme Court document by modifying the text. 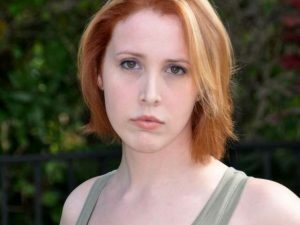 Everybody can check Dylan Farrow’s lies and false declarations by selecting this picture. Moses Farrow, the adoptive son of Mia Farrow and Woody Allen was present on August 4, 1992 and he never believed Dylan Farrow’s sexual abuse allegation. In 1992, Moses Farrow, who was 14 years old, told to Monica Thompson that he didn’t believe the abuse occurred. At least 20 undeniable facts, WITH SOURCES, about Woody Allen sexual abuse allegation, say he’s completely innocent. Woody Allen never abused Dylan Farrow. At the opposite, Vanity Fair 10 Undeniable facts are complete lies and manipulations, presented WITHOUT ANY SOURCE. The “facts” are either flat-out false, entirely deniable, or misleading and irrelevant due to the fact that Maureen Orth purposely omits other, more important facts that cast doubt on the allegations. Three Mia Farrow’s adopted children have died tragically, two killing themselves. 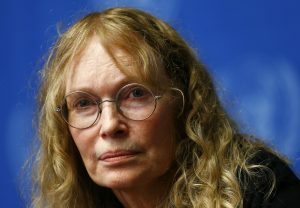 Since the beginning, Mia Farrow has been suspected to influence or even to coach her 7 years old adoptive daughter, Dylan Farrow. Both Moses Farrow and Soon-Yi Previn have spoken out about the abuses they suffered from their adoptive mother, Mia Farrow. That was the start of her coaching, drilling, scripting, and rehearsing – in essence, brainwashing. 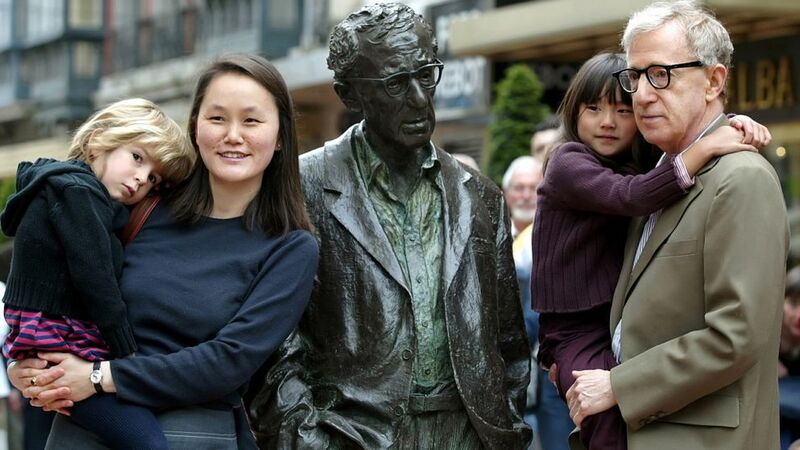 Farrow also resorted, as Soon-Yi describes it, to “arbitrarily showing her power”: slapping Soon-Yi across the face and spanking her with a hairbrush or calling her “stupid” and “moronic.” Sometimes, according to Soon-Yi, Farrow lost it completely, as when she threw a porcelain rabbit that her mother had given her at Soon-Yi (“She never really liked it,” Soon-Yi wryly observes. “That’s probably why she threw it at me”), smashing it to pieces and startling both of them.